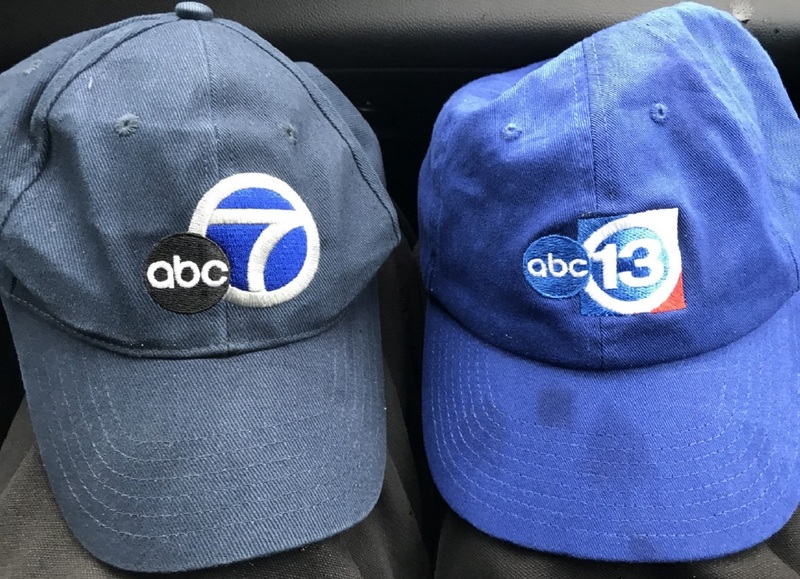 HOUSTON, Texas (KTRK) -- REFLECTIONS: After a week of non-stop reporting on Harvey, I want to reflect on an experience unlike any in my career before. I mostly want to say "thank you" to the people of Houston. You taught us all around the country about selflessness, kindness, fight, grit, compassion, and unity of purpose. I'm so appreciative I had the opportunity to report there. But I'll admit, I was nervous when I first given the assignment. My boss had asked me to join a small group of photographers, reporters and producers from various ABC owned stations. Our job was to assist our sister station in Houston, KTRK. 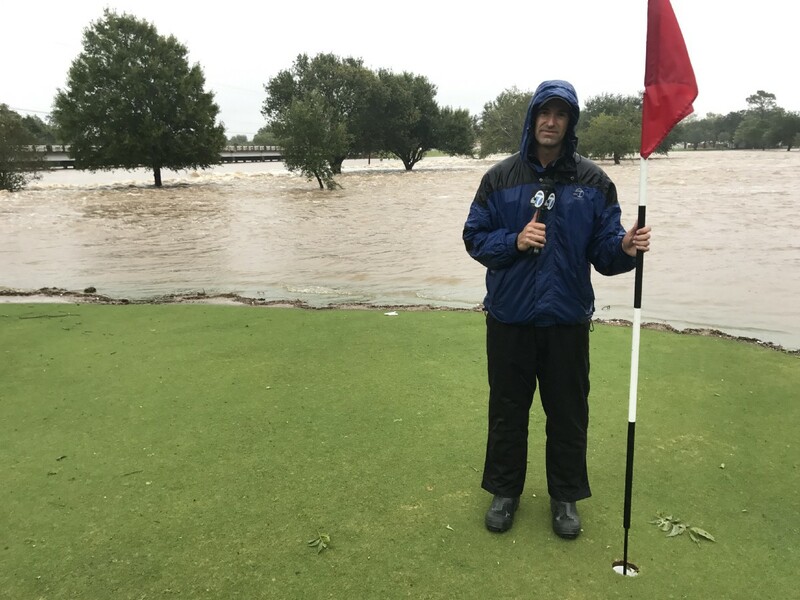 They'd been providing 24-hour, continuous coverage without commercial breaks in torrential downpours for days and simply needed warm, dry bodies to help share the load. Starting off, I was concerned that I wasn't up to the task and wouldn't be accepted in the role. I'd only covered a couple hurricanes and none this serious. Most importantly, I'd never even been to Houston and didn't know the subtle complexities of the neighborhoods that comes with years of street reporting in a market. I thought my colleagues at KTRK and their viewers would think, "Who the hell is this guy from L.A. and what does he know?" Once on the ground, I realized they didn't have time to worry about me. They had bigger problems. The entire city was in crisis. Instead of cynicism and resentment, folks actually thanked us for making the trip from out of town. I couldn't believe their warmth and graciousness in making me feel at home during chaos. They explained their neighborhoods and pointed out people I should talk with. When we stopped for gas far outside Houston, a local said that we should check out their nearby golf course. When we got there a few minutes later, we spotted the 18th hole. But we couldn't find holes 1-17 because they were all already underwater. At first, the rainfall was relentless and there was simply nowhere for all that water to go. It was unlike anything I'd ever seen before. I'd certainly experienced pounding rains and flash flooding over years of reporting. But, what made this different was how widespread the damage was. Usually, there are a few isolated areas of heavy flooding where first responders and the media all congregate. On TV, it can look like an entire area is devastated...but in reality... it often isn't. During this rain event, there was damage in almost every direction for 70-100 miles. This was simply too wide an area for emergency officials and the media to cover. As a result, we were often the first to broadcast pictures from almost every town we visited. In every neighborhood we saw the same thing over and over -- neighbors were helping neighbors. The usual things that divide us -- race, income, education, religion -- all went out the window. All that mattered was that a fellow human being was in trouble. 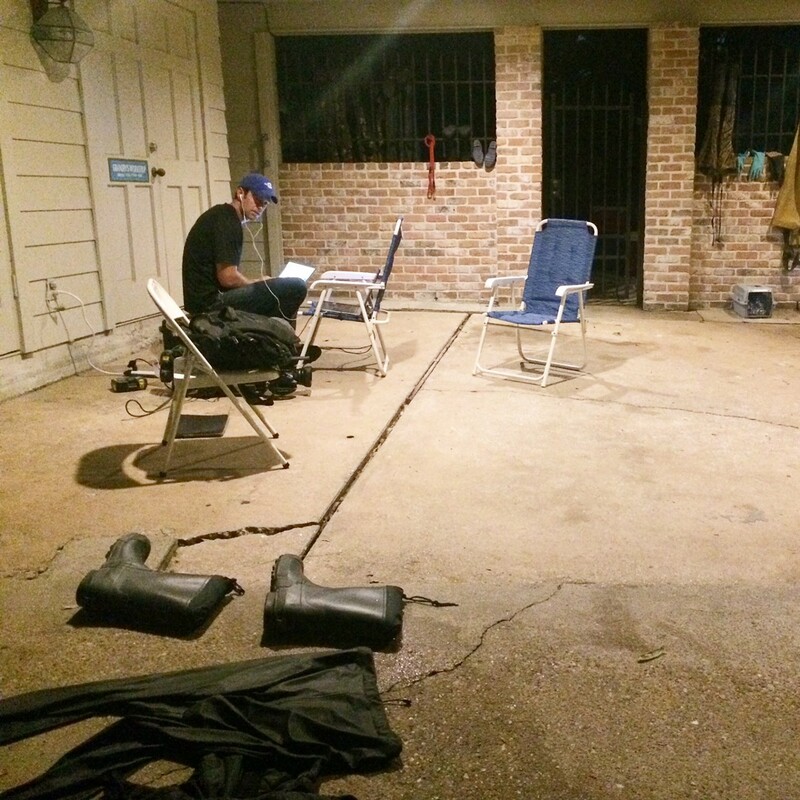 In Pearland, we observed buddies Colin and Carl paddle out in a canoe going door to door to check on every single home before authorities arrived. We watched a veterinarian named Dr. Terri Stone save the lives of cattle stuck in a pen as flood waters rose. In west Houston, volunteer Joel Marrett invited us onto the back of his pickup truck with 40" wheels as he drove into 5 feet deep water to aid those stuck behind. As we ventured into some of the deepest flooding, we saw a flotilla of volunteers bringing their boats in to rescue everyone they could. Younger, healthier people risked their own lives to ensure babies and the elderly got out safely. While live on the air, we helped a 92-year-old woman with a walker onto our truck. Little did we know, she was the woman we all needed to meet in that moment. "Miss" Shirley Sechler surprised us all when her first words were a joke about her wig. She'd go on to flirt with myself and the rescuers...and reflect on the strength of Houston. Her wit, calm, and fight quickly went viral-and served as a symbol of the city's resolve. At the GRB, the city's largest evacuation center, we met volunteers who showed up to brighten up these very dark days for thousands of children. They dressed as characters, painted their faces, organized games...and helped bring a sense of joy back into the world. We also spent time at the "missing persons" desk where volunteers re-united families that had been unable to communicate with each other. The joy and relief we witnessed were some of the most powerful emotions I'd ever seen. Near the Buffalo Bayou, Rock Dawson took us out on his boat to survey the worst flooding we saw all week. He was one of so many volunteers who spent all day making trip after trip into smelly, contaminated water to help desperate neighbors evacuate their homes. Being out on that water is a solemn experience. "I never believed anything like this could happen in a thousand years in Houston, Texas. Absolutely devastating. Its surreal," he said. Yet, like so many others, Rock is defiant. "Houston: we will be OK, we will come back!" he said. At the NRG Center, we watched as President Donald Trump took on a different role. He's so often criticized for exclusively playing to his base, but on this day, he moved beyond that. He reached out to evacuees-regardless of whether they were supporters-and provided genuine hope and comfort. This week of reporting was a welcome break from my usual day job: reporting on politics. Unfortunately, our politics are too often dominated by both sides blaming the other for inaction. The rhetoric can be dehumanizing and lead to dysfunction. The people of Houston we met weren't looking to blame others or trying to make excuses. Their confidence came from faith that neighbor's would have their backs. These weren't empty platitudes or politically correct statements after a tragedy. These were specific actions that actually help people. As we mourn for those killed by the powerful water, those who survived are counting their blessings and keeping things in perspective. Evacuee Brandt Edwards' home is now under water. But, he told me, "Its not our lives, its just stuff, we'll fix it, repair it, do what we have to do." It is that optimism that I will most remember. This experience reminded me what I love most about journalism: the ability to witness history...and the everyday heroes who often define it. The stories we had the privilege to tell were some of the most fulfilling of my career. I will forever be indebted to photographer Sean Kallas-my travel buddy and partner in crime. His talent, creativity, and passion for the craft inspire me to be better everyday. I'm also deeply grateful for producer Kim Dillon from WABC, who coordinated every aspects of our stories and is now a treasured friend and mentor. I'll never forget the tireless dedication of the KTRK staff in providing crucial public safety information to a community so desperate for clarity. It was an honor to be a small part of their team during these trying days. Thanks to all of you for watching, sharing, and donating to help Houstonians get back on their feet. When we all focus on helping...not hurting each other...the human race is capable of incredible things. We got to see what that looks like this week!